Fender, or more correctly the Fender Musical Instruments Corporation, is based in Scottsdale, Arizona and manufactures a range of electric, acoustic and bass guitars as well as amplifiers. It produces the iconic Stratocaster and Telecaster electric guitars and the Precision and Jazz Basses. Founded by Leo Fender in 1946 in California it is now probably the largest guitar manufacturer in the world with manufacturing plants in the US, Mexico, China and Japan. As well as Fender guitars and amps the Corporation also owns the Squier, Gretsch, Jackson, Charvel and EVH guitar brands; they also previously owned brands such as Guild and Takamine. In 1951 Leo Fender introduced a prototype solid-body instrument that would eventually be called the Telecaster guitar, which was the first solid-body Spanish-style electric guitar to be commercially mass-produced. He also introduced a revolutionary new invention—the Precision Bass guitar. It was played like a guitar and had frets so that it could be played with “precision,” and it could be amplified, thus liberating bassists from unwieldy and increasingly difficult-to-hear acoustic basses. 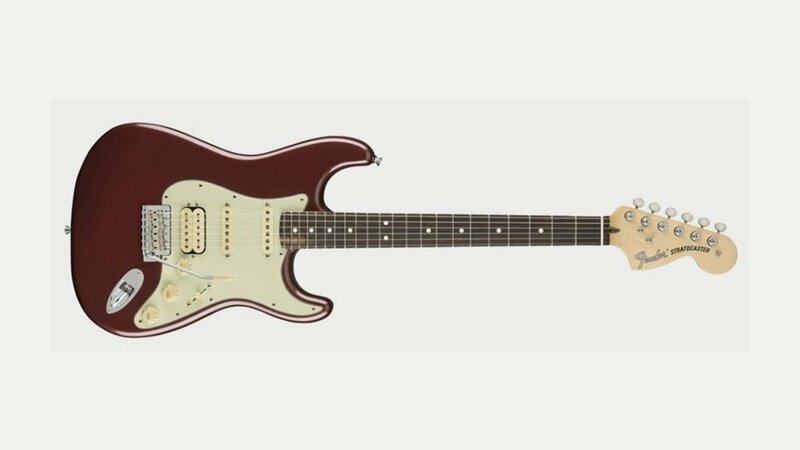 The Stratocaster first appeared in 1954 incorporating many design innovations based on feedback from professional musicians. Most important, however, was the addition of the new Fender vibrato (or “tremolo”) bridge, an innovation originally intended to let guitarists bend strings, thus achieving the pedal steel-like sound so popular among country music artists of the day. Essentially unchanged since its 1954 debut it is the most popular and influential electric guitar ever.